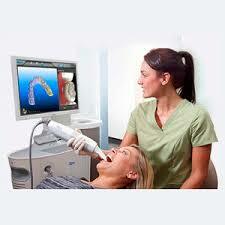 How Does the iTero Element Digital Intraoral Scanner Work? ​The scanning unit emits red laser light (680 nm - Class 1) and white LED light in order to record topographical images of the teeth and oral tissue. No. Normal usage of the intraoral scanner does not present any danger to the human eye and no ionizing radiation (x-ray) is emitted. 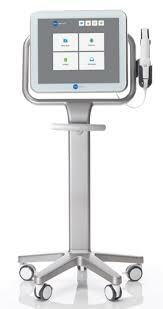 What is the Intended Use of the iTero Element Digital Intraoral Scanner? The iTero Element is an optical impression system (CAD/CAM) used to record topographical images of teeth and oral tissue. Data generated from iTero may be used in conjunction with the production of dental devices (e.g. aligners, braces, appliances, etc.) and accessories. iTero Element software is used with the iTero Element scanner in capturing 3D digital impressions of teeth, oral soft tissue and structures, and bite relationship. The software controls the processing of the data, facilitating the integration of data, and exporting of the data for the CAD/CAM fabrication of orthodontic devices and other dental accessories. In addition to scan data, various patient and case information can be imported/exported or used for simulation purposes. Other functions are available for verification and service of the system and to serve as an order management tool. What are the Benefits of the iTero Element System? The iTero Element system provides important advantages over existing systems including powder-free scanning and immediate feedback during the scanning process. In addition, the iTero Element system may increase patient satisfaction, improve clinical outcomes, and enhance office efficiency. Dr. Curtis or one of our highly trained registered dental assistants uses the wand of the iTero Element Scanner to capture images of your tooth surfaces and gum tissue. This process utilizes only visible light and there is no exposure to ionizing radiation (x-rays). 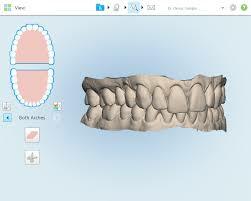 You can follow the scanning progress on the screen, since your orthodontic model is digitally built in real-time. This eliminates the need to re-take impressions. The completed scan is available as a 3D model that Dr. Curtis can use to begin planning your treatment and to create supplemental orthodontic appliances or Invisalign and Invisalign Teen aligners.